We’ve got it all in Hawaii. Great weather, amazing beaches and awesome locally crafted beer. We even have yearly access to fresh wet hop beers. It’s rather remarkable that in a few years time, we’ve gone from very little locally made beer to having our local breweries source freshly picked hops and have them sent overnight to Hawaii. For the second year in a row, Waikiki Brewing Company has secured freshly picked hops and sent them back to Hawaii immediately to be brewed with. 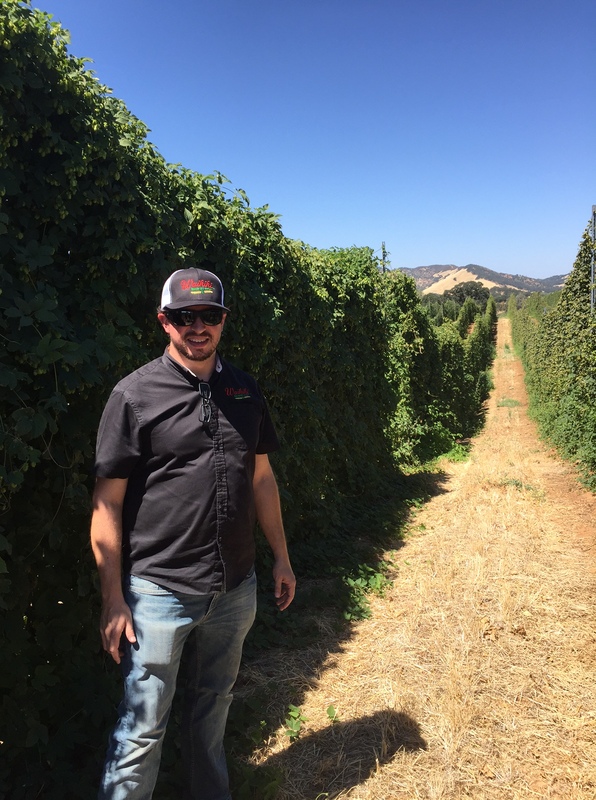 But this year, instead of sourcing those hops from a broker, head brewer Joe Lorenzen decided to contact a small, family owned farm in Northern California and secure the hops himself. Joe flew to Hops-Meister Farms in Clearlake, California, just north of his hometown of Chico, to pick up 3 massive bags of unique hops and head right back to Hawaii. 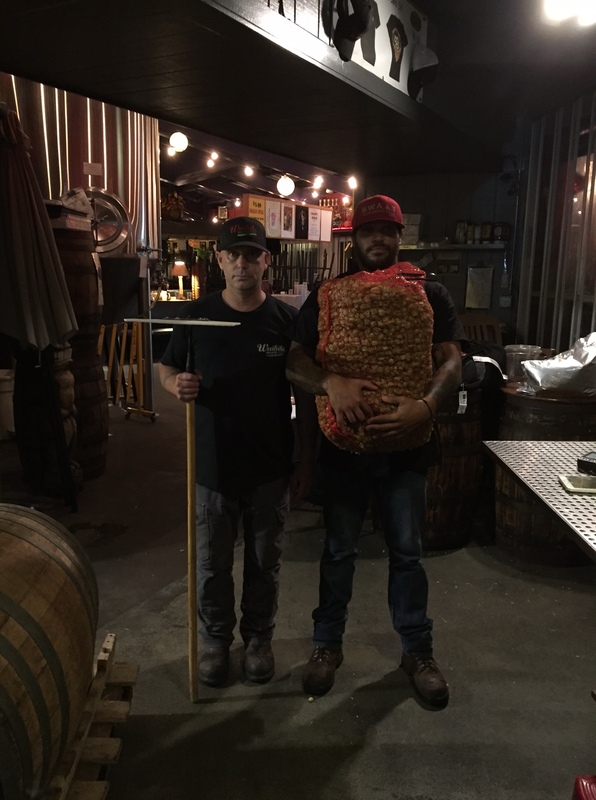 Below is a guest from Joe Lorenzen about the brewing of Waikiki Brewing Company’s Overnight IPA. Hops are only harvested once a year in the northern hemisphere. The majority of the hops are dried by kilning and then baled or pelletized for brewers to use over the course of the following year. Just once a year, at harvest-time, breweries have a chance to brew with fresh, wet hops, right off the bine. 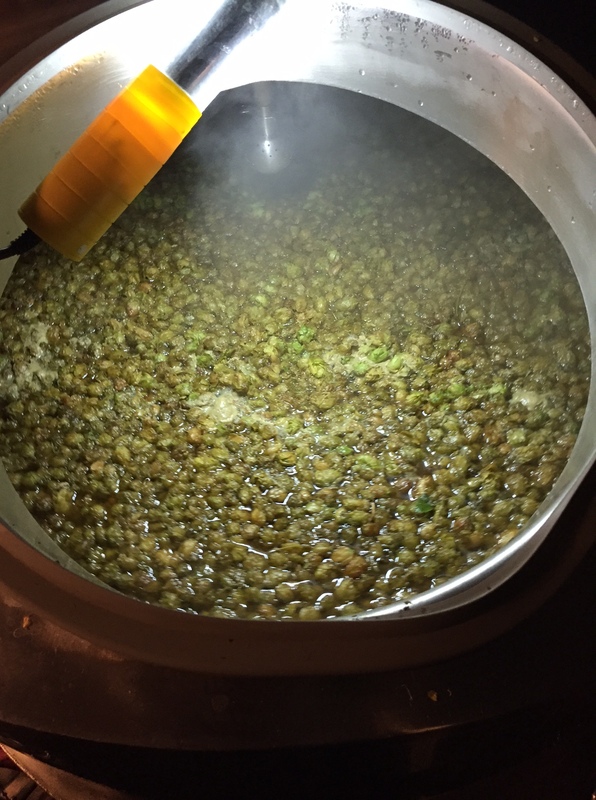 The fresh hops are full of essential oils and offer up unique variety dependent aromas as well as fresh, grassy notes to the beer. 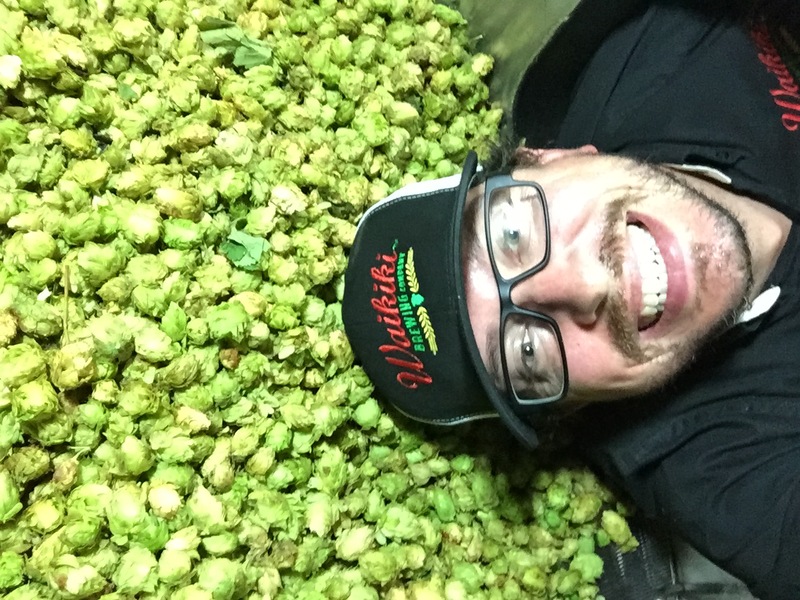 This year, Waikiki Brewing Company sourced their fresh hops from Hops-Meister Farms in Clearlake, California. Due to the warm California summer, their hops mature earlier than those grown in Oregon and Washington, allowing us to brew our fresh hop beer much earlier than most breweries. Hops-Meister is an organic, (CCOF) small family farm of just over 30 acres that has been growing hops for the last 14 years. Along with classics like Centennial, Chinook, and Cascade, they have also pioneered two proprietary varieties derived from native California Cluster hops: Ivanhoe and Gargoyle. 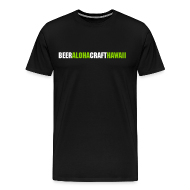 When brewing last year’s batch of wet hop ale, just the shipping alone amounted to $900 to get the fresh, wet hops to Waikiki, and the shipping time was still over 24 hours. 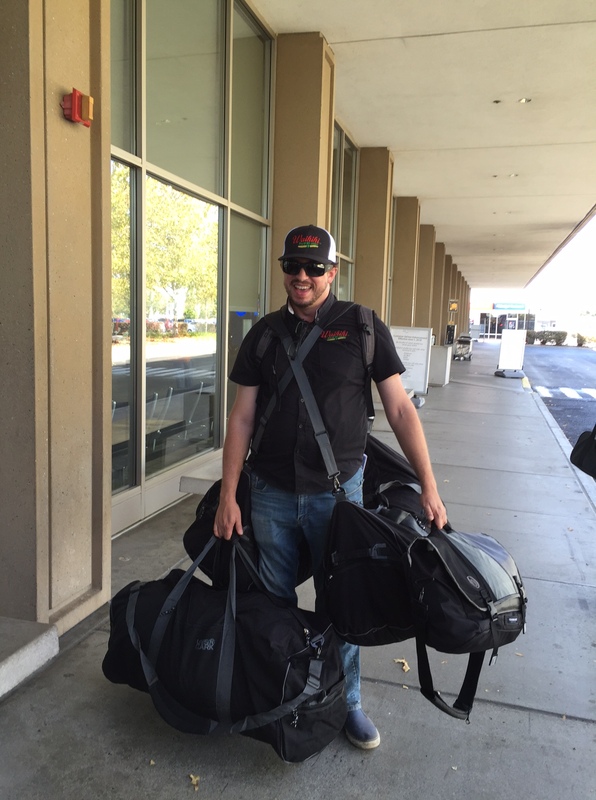 Because of that, I decided to take matters into my own hands and fly to California to pick up the hops at the farm on the day of the harvest. I immediately headed back to the Sacramento airport and fly back to Hawaii with three huge duffel bags of freshly picked hops. 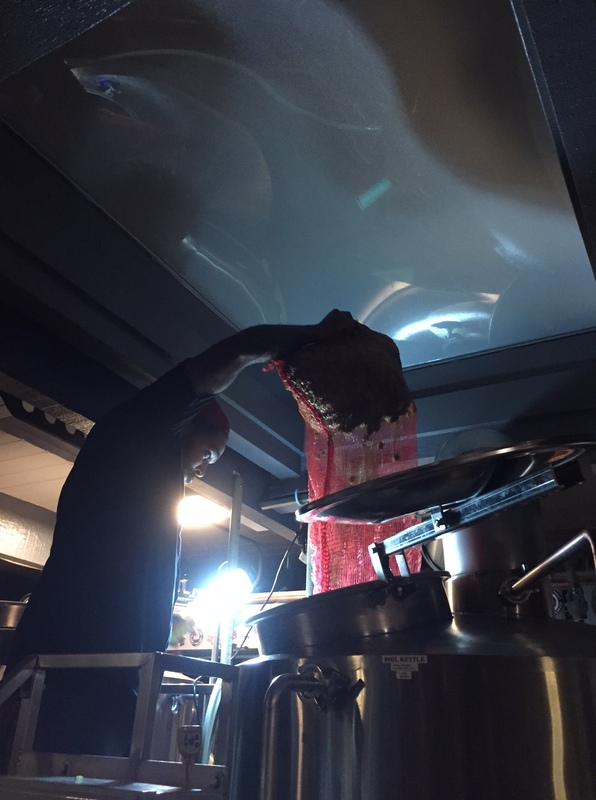 The second my plane landed in Honolulu I head straight to the brewery where our brewers mashed in and proceeded to brew overnight in order to be able to get the hops in the kettle only 12 hours after they left the farm in California. Overnight IPA features both Organic Cascade and Gargoyle hops from Hops-Meister, as well as Organic two row, crystal, and wheat malts from Great Western Malting Company. Though the beer itself cannot be certified organic, it is made with all organic ingredients. Overnight IPA is golden in color and light in body to allow the aroma and flavor of the copious additions of fresh hops to take center stage in the beer. 90 lbs of fresh hops went into only seven barrels of this brew, with 20 in the fermenter as dry hops, 30 lbs in the hopback, and the other 40 in the boil and whirlpool. 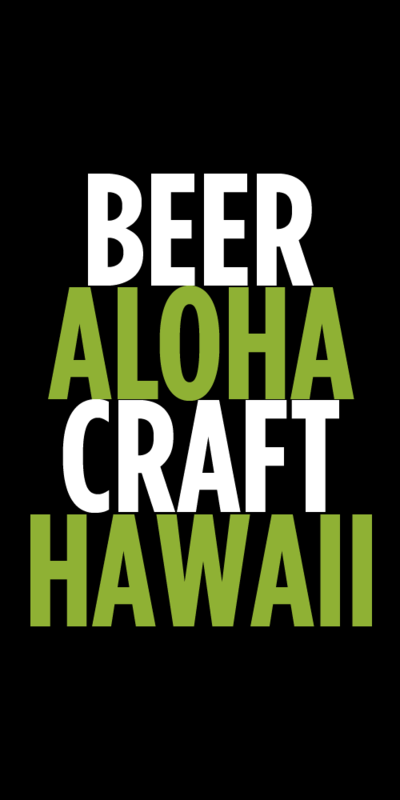 The beer will be released on August 26th at Waikiki Brewing Company – 1945 Kalakaua Ave, Honolulu, Hawaii, 96815. Tags: Fresh Hop, Waikiki Brewing Company. Bookmark the permalink. Nice work guys and gals! Where can I get some of that good tasting beer here on the Southern Mendocino Coast (Point Arena, CA)?